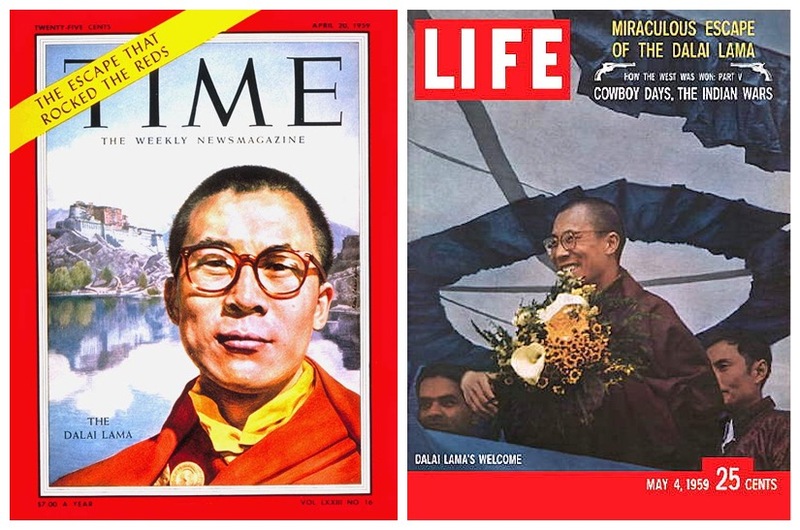 The big news following the 59’ Uprising was, of course, the escape of the Dalai Lama from Lhasa, which was featured in cover stories in TIME, LIFE, Reader’s Digest and other journals and papers. 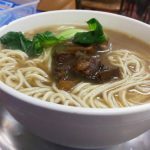 But the world press also took note of the violence and oppression taking place inside Tibet and journalists attempted to cover it, without much success ––understandably enough. 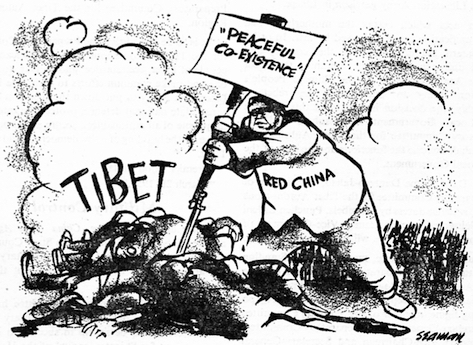 R.K Laxman illustrates the “panchishila” policy that blinded Nehru to Mao’s military occupation of Tibet. 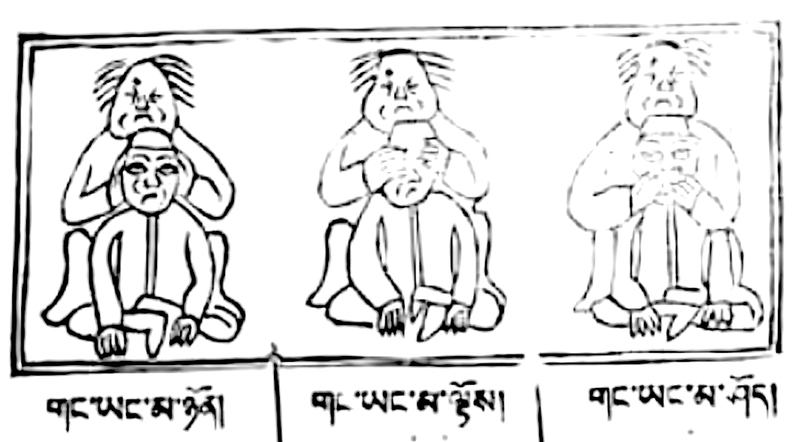 We must, of course, not forget the cartoons that came out in Gergen Tharchin’s Tibet Mirror (Melong) newspaper. 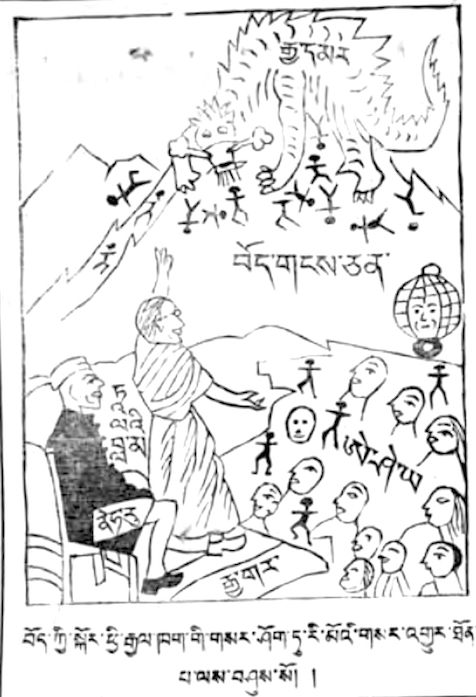 Some of these might have been drawn by Tharchin’s talented brother-in-law Rigzin Wangpo. 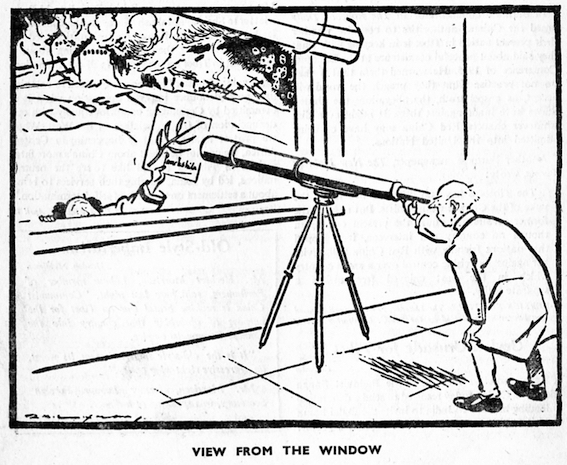 The contraction “Rig” on the lower left of the first cartoon is perhaps an alias. 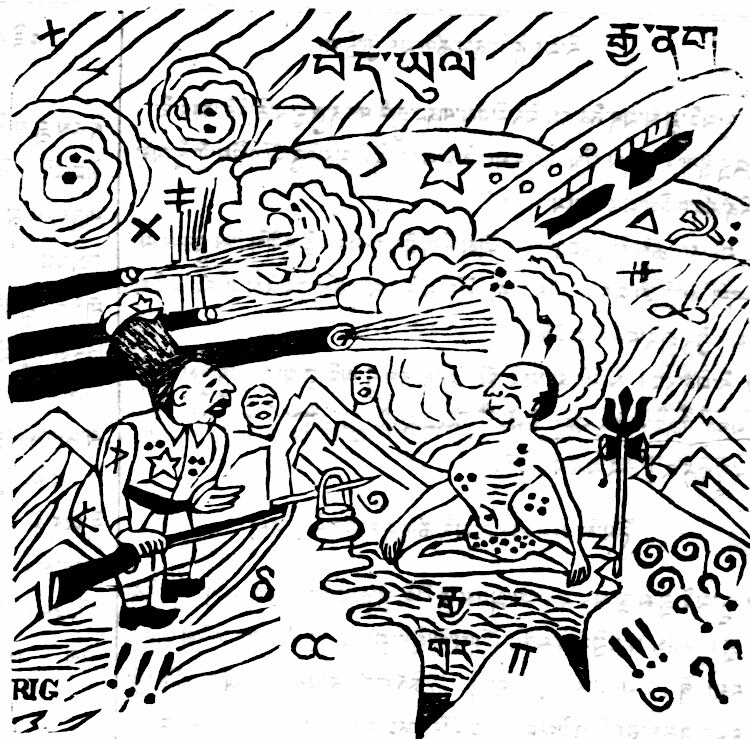 Tibet Mirror cartoon: Indian Premier Nehru meditates on world peace, ignoring Communist China’s slaughter and destruction in Tibet, 1559. 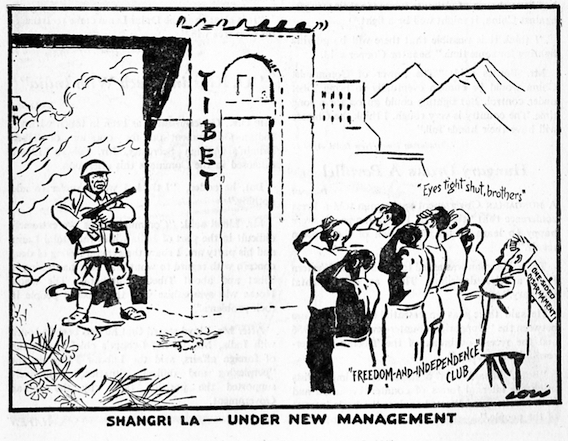 Tibet Mirror cartoon: Mao Zedong manipulates Indian Premier Nehru into hearing nothing, seeing nothing, and speaking nothing on the tragedy in Tibet. 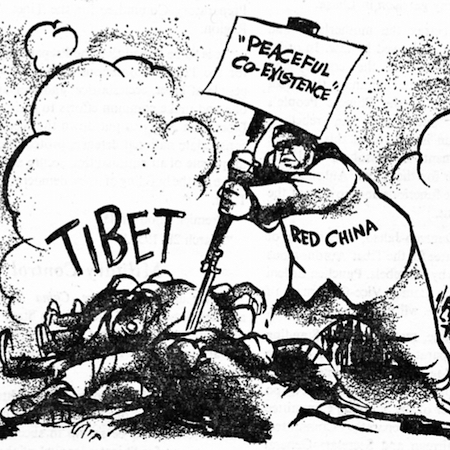 Tibet Mirror cartoon. 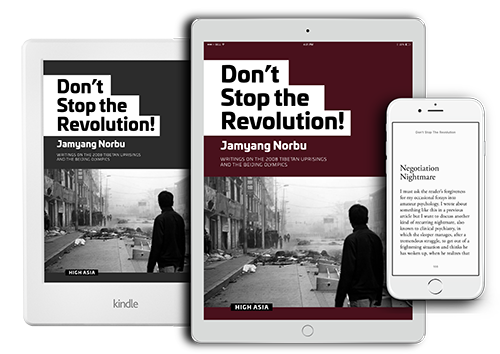 The Dalai Lama escapes to India and Nehru introduces him to Asia and the world but the Chinese dragon is still devouring Tibetans in the land of snows. 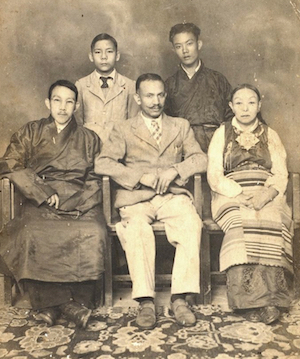 Seated from left: Rigzin Wangpo, Rev. 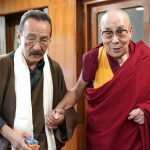 Gergen Tharchin and his wife Karma Dechen. 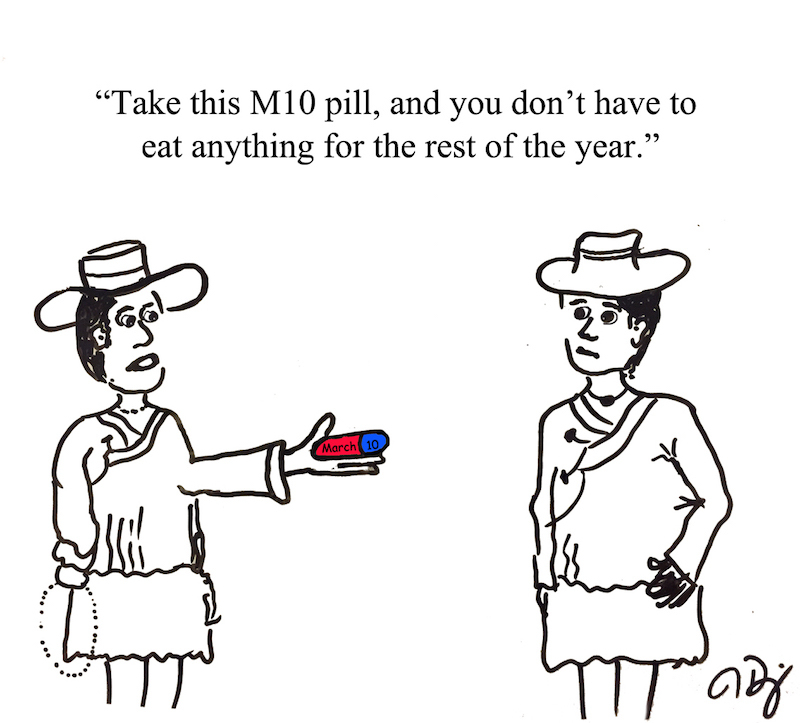 So far I have located just one cartoon (from Tendor-la) but I am sure more will follow. 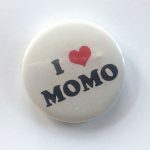 This one is a mocking comment on the attitude of some exiles who attend a rally once a year on M10 and feel that they’ve done their heroic bit for the Struggle.